Imagine that your retail business has continual access to your customer base each and every minute of the day, 365 days per year. You, along with your staff, can tell them anything you want about your business, and there’s a good chance that they will listen. They may even share this information with their own friends and family. You can also request feedback from them whenever you want. Best of all, it’s totally free. What would you tell them? If this sounds too good to be true, it’s not. Every time you post on your company’s Facebook page, tweet to your followers, or pin an image to Pinterest, you are broadcasting an important message about your business. The usage of social networking websites is tremendous, representing a real opportunity to market to a targeted population daily. For example, did you know that 48% of Facebook users between the ages of 18 and 34 check it when they get up every morning? This represents a whopping 71% of US users on Facebook, according to the website Allfacebook.com. But while you may recognize the opportunity in establishing a social media presence, do you really understand what that entails? Peruse several small business Facebook and Twitter pages, for example, and you’ll see the same recurring themes: a posting once a week advertising a sale or special, a comment to come visit the store, or a request for people to “like” them. There’s nothing consistent nor compelling enough to catch your audiences’ attention. Social media isn’t about advertisements and announcements, and it shouldn’t be treated as a digital bulletin board. Social media, when used effectively, is about building a sense of community with current and potential users of your products. To build a community, you must engage with your customers, plain and simple. And that’s not done by just posting virtual shout-outs of ads. An effective social media strategy involves posting interesting and informative information about your product, your business, and your industry. It suggests to users how you can help satisfy one or more of their needs. And it catches their attention and makes them want to share the content with others. It also means that you are not just posting and sharing content but participating and commenting on others’ content as well. Remember, it’s not just about shouting about your business, it’s about engaging in the pleasantries of conversation with your customers. If a customer walked into your store, you’d greet them and ask about their day, correct? If you knew their son just got accepted to graduate school, you’d congratulate them. Think of your social media efforts as digital conversations. Wish your customers a happy birthday; comment on their last vacation picture. Your social media program is really just another component and tool of your Customer Loyalty program. Through both, you should be connecting, communicating, and rewarding your customers. Engaging and rewarding your customers is the most cost effective way to build your business, because it costs over six times more to acquire a new customer than keep an existing one. By integrating your social media strategy with your customer database and loyalty program, you can utilize integral data to find, track, and engage with your current customers on social media. Knowing their buying patterns can assist you in determining the content that you post and when to do so. For example, if you know that 45% of your client base that spent over $200 during the last week of the holiday season were males purchasing gifts for the significant females in their lives, based on the last several years of data, you can post content aimed toward that demographic during the next holiday buying season. Let them know what items are hot this year, upsell your products by showing them outfits and matching accessories, and even offer a coupon for this demographic to use the week of Christmas. Most of all, remind them that your retail business has the products, service, and capability to satisfy their need. Your customer database and loyalty program can work hand in hand with your social media efforts. By posting questions about your products on your Facebook page, for example, you might find out that a large percentage of your clientele actually purchases clothing at your children’s retail store for gifts. Why not take that opportunity to market to that demographic, as well as update your customer database? Set a system in place for staff to obtain names and email addresses of their customers at the point of sale. Encourage customers to follow you on Facebook and other social networking sites by posting displays in your stores and links on all your printed material and digital sites. An effective customer loyalty program and retail management system allows the retailer to track and analyze myriad types of data. The iVend Retail Management Solution, along with its companion iVend Loyalty – an Integrated Customer Loyalty Solution, provides the flexibility retailers need to track and analyze data, as well as reward loyal customers. Shrinkage in the retail industry is a serious matter, averaging over $30 billion dollars a year. And the majority of that shrinkage (43%) is due to employee theft, according to a survey by the National Retail Federation. This can be especially problematic for a SME retailer; as the business grows, owners must accede control and oversight of the daily operations to others while focusing on the management and long term strategy of the business. This can leave them vulnerable if they do not have the proper controls in place to guard against internal theft. Many rapidly growing small and medium retailers tend to rely on the trust of their employees as well, especially long time members. They may not realize the need for security controls until it’s too late. (A) A sales clerk at one of your locations gives her login and password information to a friend, who then accesses the retail POS system and steals cash from the till, as well as hacking confidential customer data. Security Feature: The iVend Retail management solution integrates with a leading biometric fingerprint reader, DigitalPersona, effectively tying security and user rights to the employee’s fingerprint. This allows for complete employee accountability, confirmed audit trails, prevention against unauthorized access, and more. (B) An employee works in cahoots with an outside partner, who comes into the store to return a single item several times. The employee scans the return repetitively throughout the day, and processes several cash refunds. 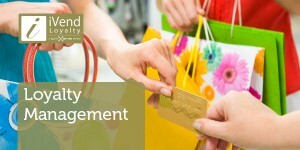 Security Feature: The iVend Retail management solution allows only one return per each specific item. The system will lock that item from being returned multiple times, even if it’s at a different location. (C) Several employees are pilfering small amounts of inventory from various locations throughout the year. While each item isn’t substantial, the total cumulative amount over a year’s time is significant. The discrepancy in inventory is only discovered at the annual physical inventory count. Security Feature: Cycle counts of inventory can be performed through the iVend Retail management solution periodically throughout the year, thus identifying discrepancies in inventory on a timely basis. 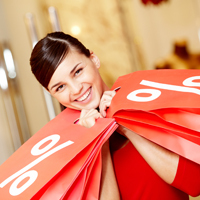 (D) A store clerk gives random and significant discounts on purchases to her friends without any authorization. Security Feature: The iVend Retail management solution allows you to set discounts, price controls, and price changes at different levels of management. Other security controls include the ability to force reason codes and comments for returns and exchanges and till counts at various intervals throughout the day. In these tough economic times, it is crucial for a business to have access to current information and control over operational data. Our iVend Retail Management solution, an SAP Business One addon, is a complete end to end solution that allows the management team to have complete control over each store’s operations in real time. iVend Retail is now certified to process Card Present Transactions via eSELECTplus on a Moneris 7800 Pinpad. 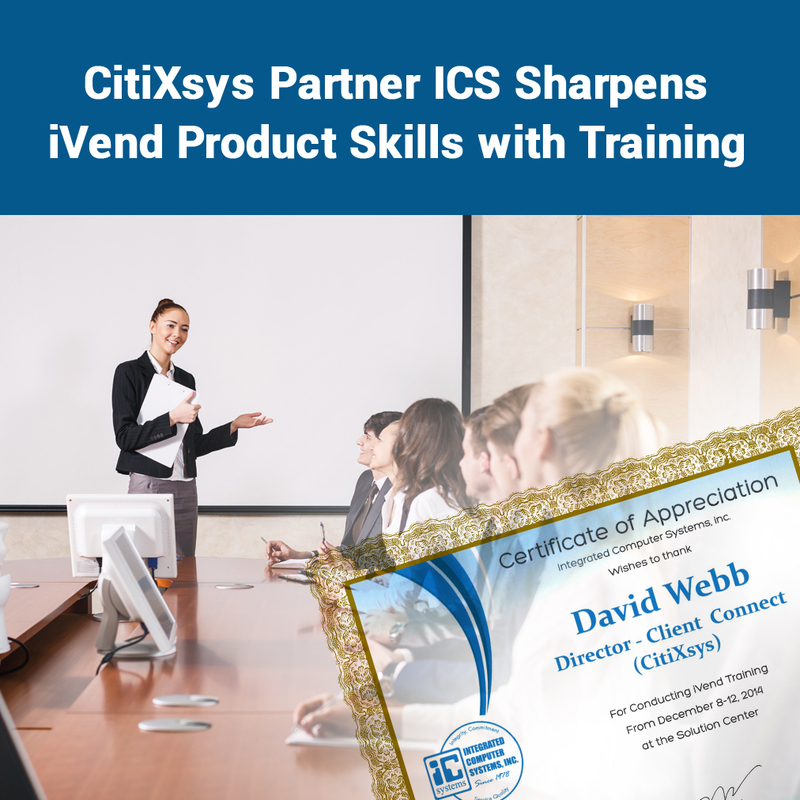 Congratulations to iVend Team on the successful completion of the eSELECTplus Card Present Integration certification performed on Thursday, May 12, 2011. 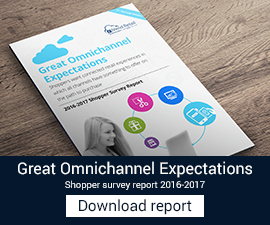 Thousands of stores in over 15 countries run iVend Retail to manage their retail operations. iVend Retail, a PCI compliant and SAP Certified solution, is a complete Retail Management Software,seamlessly integrated with SAP suite of Business Management Applications. iVend is a comprehensive Retail Management Solution to manage Head Office, Store and POS operations. The SAP certified fail safe integration with SAP keeps the head office always connected with the store operations across the complete retail chain. Integrated Loyalty module, Gift Card features and integration with leading payment processors & gateways allows retailers to have a 360 degree visibility of their operations spanning from Store Operations on one hand to Financial and Supply Chain on the other. High levels of scalability are brought about by latest technology, simple & intuitive interface, with robust Head Office engine backed by SAP – and industry leading business management application. Its unique replication and integration services completely take away the constraint of being always-connected to the Internet. iVend Retail allows retailers to continue doing business even if the Internet connection between the Head Office and the store is severed. Moneris 7800 Pinpad is Ideal for use in a variety of merchant environments, including single-lane point-of-sale, multi-lane retail and stand-alone. Compact hand-held PIN pad with CHIP card and magnetic stripe card readers. Large backlit graphic display offers clear presentation of data and commands. Long card swipe ensures optimal magnetic stripe card reading. Compatible with the Moneris HiSpeed 6200 terminal and eSELECTplus® card present virtual terminal. Multi-application functionality allows implementation as a basic or intelligent PIN pad. Backward-compatible to most Moneris POS PAD, PINSmart and SC550 environments. Compliant with the current card scheme association standards for physical and logical security (i.e. PCI PED certified). 32-bit processor supports powerful encryption to ensure confidential data is secure. You don’t require any programming skills for this. iVend Retail Solution lets you configure the receipts to print specific messages in the receipt. For example, messages printed when groceries are sold could be very different from the messages printed when electronics or apparels are sold. Similarly messages for corporate customers could be different from messages for cash customers.